Yep a great idea and a box of wipes for the excessive drooling ! Casey, great idea, thanx, this looks to be fun!!! Awesome, Casey! Thanks for sharing some of the Vault with us! Great thread , how does that Axis sound compared to the Basswood/Maple? Hey, guess what everybody? Bonus post! This is a true rarity, it may say Ernie Ball Music Man on the headstock, but it was actually manufactured in Japan in the mid-90's. I'm not certain on its origin, who made it, date of manufacture, or how many there are. BP can probably weigh in on this more accurately. 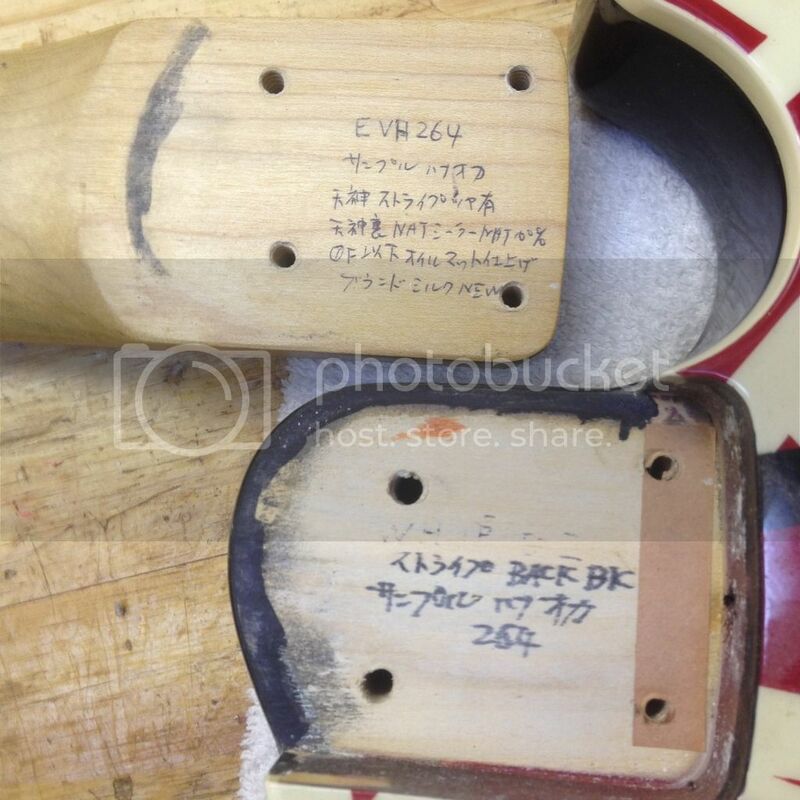 But, my best guess and snippets of recollection are that someone in Japan submitted this as a proof of concept for either a child friendly guitar, or proof that they could manufacture guitars in general. I recall Sterling bringing me in to a board meeting with several Japanese businessmen in suits and this was handed to me, which I graciously accepted. I must have been around 6 years old at the time, so this was given to me at least 5-6 years before I'd even started to play guitar. 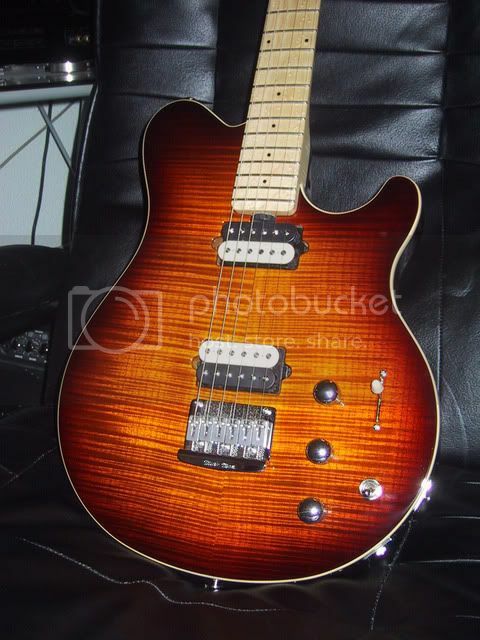 Needless to say, BP passed on the idea to make more of these/license out the MM brand/perhaps overseas EVH signature manufacturing (wild guess on my part). 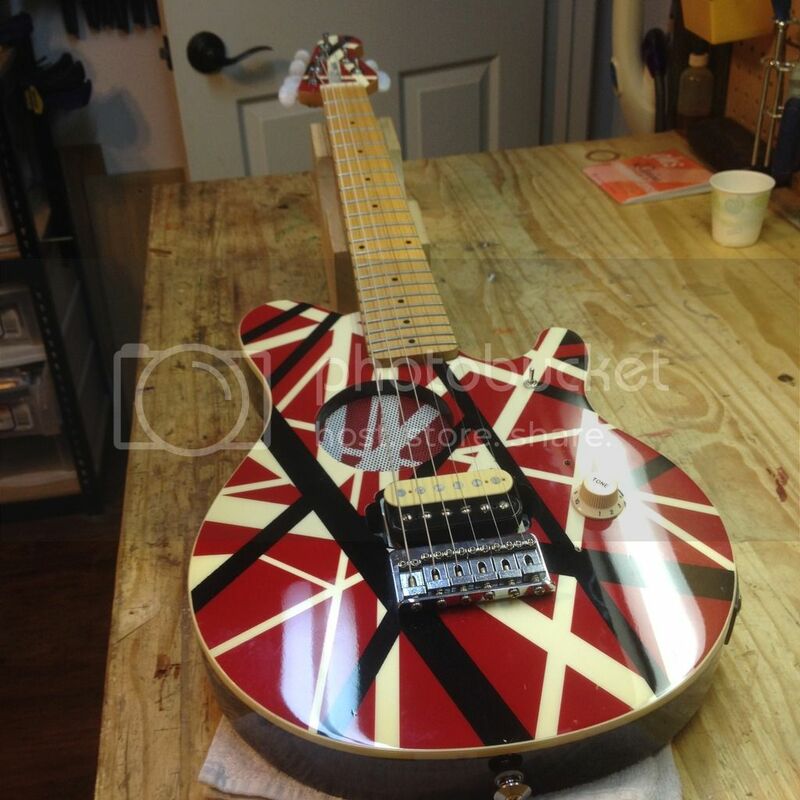 As you can see, this was a child sized EVH model with a hardtail bridge, one humbucker, and an oboard speaker/amp system. It was kicked around between Brian and myself and left in disrepair for many years. Since I'm the one who has held on to a ton of junk from the family this ended up in my possession, and I decided to clean it and do a set-up on it some years ago. This had stayed at my desk at Big Poppa Smokers and my time as an engineer/machinist for EB, now it stays on the wall at home. This is the state it was in when I decided to fix 'er up. 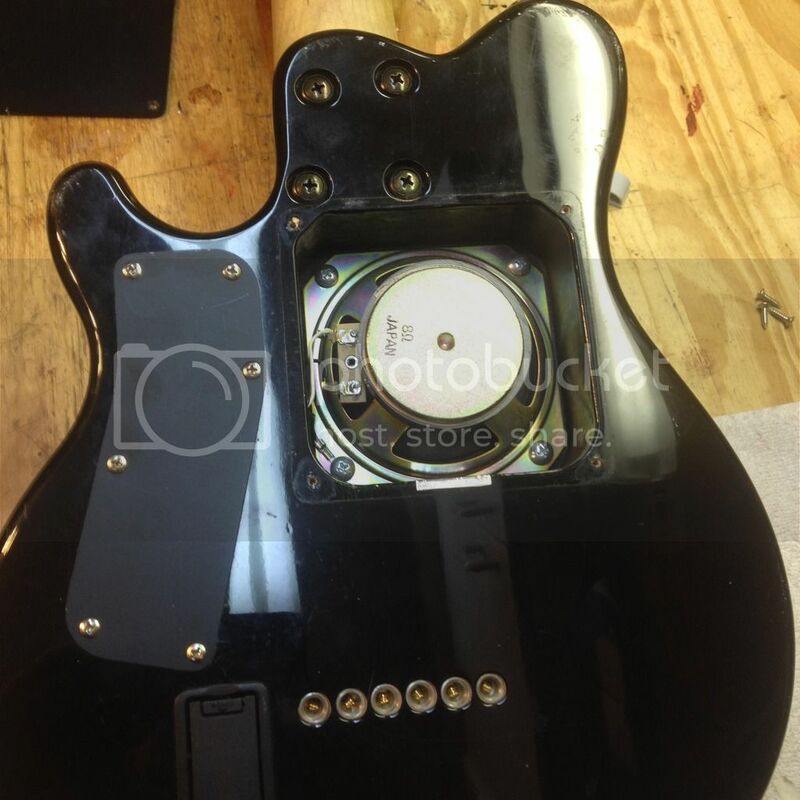 Checking the neck pocket in case of necessary shimming. 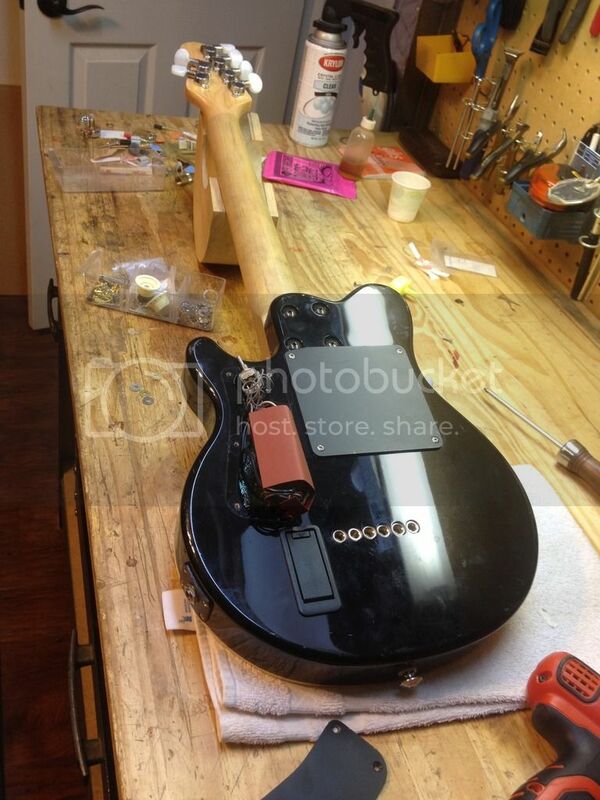 Note the paper shim, lack of truss rod, and 4 bolt neck. If anyone can translate Japanese that would be great to see what this says. 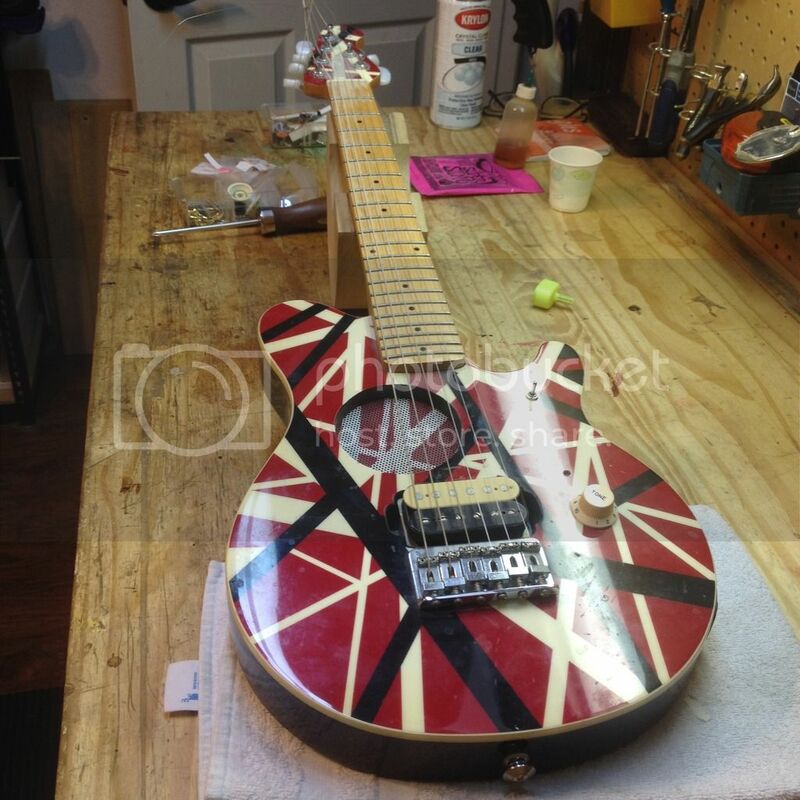 We can see that the body and neck both say "EVH 264" I somehow doubt that there were 264 or more of these made. 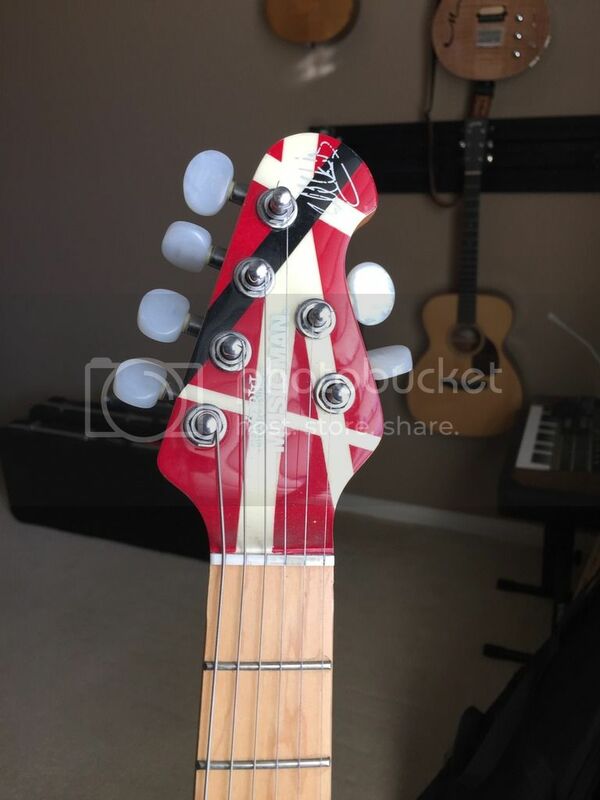 You can see this headstock features a classic EVH signature and stripes, so that would presumably put the production date before 1995. All fixed up. Hope you guys enjoy! Wow, no THAT's a snippet. Wonder if this thread gets updated through the RSS feed. This is really neat stuff! Thanks for sharing so far, Casey. Reminds me of those old Fernandes guitars with the built in speaker that came out in the mid-1990's. I remember seeing them on the cover of some of the guitar rags back then. Seems like those were made in Japan? Last edited by GoKart Mozart; 06-12-2017 at 05:08 PM. That is pretty cool! Any idea what the scale length is on it? Very cool, and thanks for sharing access to these rarities..